UR to Reconsider Cutting Soccer, Track and Field | News and Features | Style Weekly - Richmond, VA local news, arts, and events. 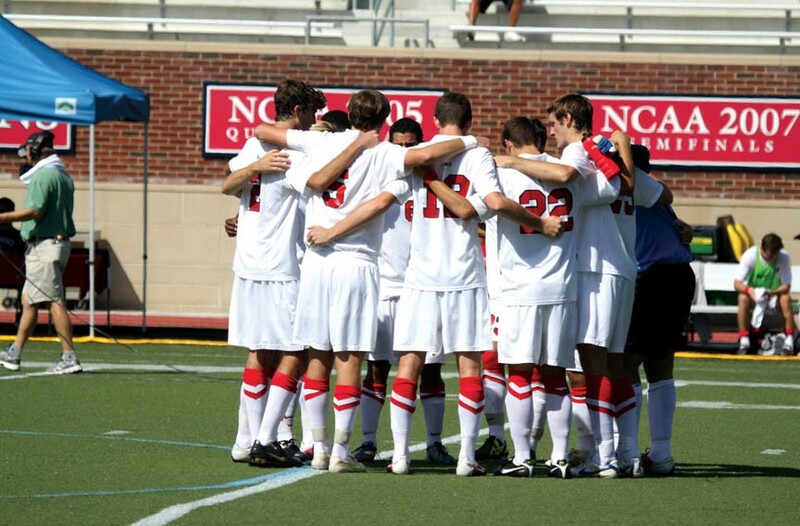 The University of Richmond men’s soccer team prepares to play a game against St. Joseph’s University in October 2011. Call it a well-funded last gasp. 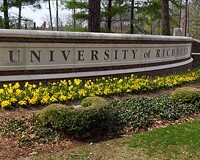 Less than a week after launching a pledge drive in a final effort to save the recently scrapped men's soccer and track programs, University of Richmond alumni have raised more than $3 million and say the school's board of trustees has agreed to revisit the issue at its next meeting. The sports' boosters hope to bring in a total of $6.26 million, which would cover half the cost of reinstating the programs. The money pledged so far has come from 160 alumni, parents and supporters, according to the group. "We're obviously excited," says Scott Byrnes, a class of '91 UR alumnus and former Spiders soccer midfielder, who's helped lead the pledge drive. "I think we're proving that there is a strong desire to see the programs continue." Byrnes says he's learned the school's trustees will address whether to reinstate the programs at their meetings Dec. 6 and 7. University spokeswoman Linda Evans declines to discuss the trustee's agenda. In September the board of trustees voted overwhelmingly in favor of introducing a Division I men's lacrosse program. To keep expenses and scholarship allocations in check, that meant some things had to go — soccer and track and field. Byrnes and others are hopeful that the trustees will take another look at the decision in light of the outside funding they've amassed. "Our hope is to put out as strong a number as possible before the trustees when they meet," he says. "Will we have the full $6 million? I don't know. But $3 million is a very strong number to raise in a week." UR has been criticized for a lack of transparency in its decision-making process. Coaches, players and alumni say they felt blindsided. Late last month, the Richmond College Student Government Association, which represents the men's college, passed a resolution condemning "the total exclusion of students from the process used to reach the decision." In which 50 University of Richmond soccer and track supporters protest at a Board of Trustees gathering.